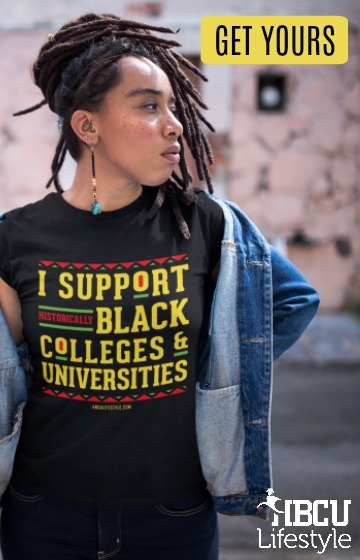 Stillman College is a historically black liberal arts college founded in 1876 and located in the West Tuscaloosa area of Tuscaloosa, Alabama. It’s nickname is the Tigers and Lady Tigers and the University is a member of the Southern Intercollegiate Athletic Conference (SIAC). Their colors are Navy Blue and Vegas Gold and their motto is A Private College with a Public Mission. 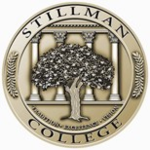 Stillman College, authorized by the General Assembly of the Presbyterian Church in the United States in 1875, held its first classes in 1876 and was chartered as a legal corporation by the State of Alabama in 1895. At that time, the name was changed from Tuscaloosa Institute to Stillman Institute. Between 1930 and 1946, it operated a hospital and nurse training school. Under the administration of Dr. Samuel Burney Hay (1948-1965), the school sought to expand into a senior liberal arts institution and in 1948 the name was officially changed to Stillman College. The following year, Stillman expanded into a four-year college and graduated its first baccalaureate class in 1951. 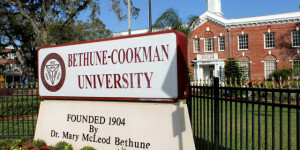 The College was accredited by the Southern Association of Colleges and Schools in 1953. In 2004 the College received its first-ever ranking among top tier schools in U.S. News and World Report and continues to hold this distinction. Stillman is located in Tuscaloosa, Alabama 52 miles southwest of Birmingham. Tuscaloosa is served by major bus and rail lines; modern shopping and service facilities are accessible in the immediate vicinity of the campus. Downtown Tuscaloosa is within walking distance. The 105-acre campus is noted for its stately magnolias and spacious, well-maintained grounds, and graceful buildings. Harold N. Stinson Mathematics-Science Building, completed in 1972, serves as a central classroom facility. Cordell Wynn Humanities and Fine Arts Center, completed in 1999, serves as a central classroom facility. Josephine C. Johnson/J.W. Robinson Nursing and Health Center, constructed in 1994, is named for two long-time employees of the college. William H. Sheppard Library, named for one of Stillman’s most distinguished alumni, was completed in 1956 and houses approximately 110,00 volumes and electronic databases. Geneva Hall was completed in 1954 as a residence hall for women. This hall has been renovated to serve the College’s community outreach programs. Stillman’s average enrollment is 1200 students with more than 75 percent of the student body being from Alabama, Mississippi, Georgia, Florida and Illinois, and just over 1 percent being from foreign countries. Eighty students are enrolled in the Harte Honors College, and experience for the best and brightest thinkers and doers. Stillman is accredited by the Commission on Colleges of the Southern Association of Colleges and Schools to award the Bachelor of Arts and Bachelor of Science degrees. The Colleges also is approved by the Alabama State Board of Education to offer teacher education programs. 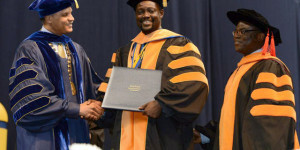 Stillman confers the Bachelor of Arts and the Bachelor of Science degrees. The regular academic program is arranged into two required components—the general education curriculum and the major field curriculum. A student spends roughly two years on each component while matriculating at the College for a bachelor’s degree. 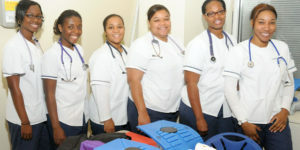 The courses of study are grouped into three divisions of instruction that include a total of nine departments. The College serves as a conduit through which students can access federal, private, and state aid to assist in paying the costs associated with attending college. The College’s main entrance to the campus is guarded and the College provides foot patrols and vehicular monitoring of the campus. Officers are on duty at all times for the safety and security of students, faculty, staff, and protection of property. Student Affairs is the component of the College responsible for co-curricular and extra-curricular areas of student life including residence living, counseling services, health services, Christian religious life, discipline, Campus Police, and student activities and organizations. The Office of Alumni Affairs is the center of alumni work and serves as the liaison between the alumni and Stillman. It maintains records and mails to more than 8,000 alumni several times a year.